Reading Paul’s blog posting on Holland Cotter’s recent New York Times review of the Walker oganized exhibition, House of Oracles: A Huang Yong Ping Retrospective reminded me (once again) of the Walker tour guides’ experiences during our recent trip to China. 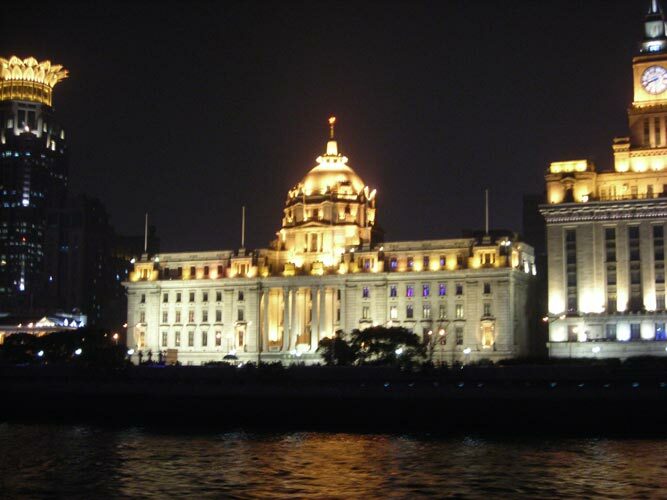 In Shanghai as we visited the Bund area (Shanghai’s main banking and finance area) we immediately noticed one of the large colonial buildings lining the street. We had all seen this building many times, entering and exciting the Walker during the run of the Huang Yong Ping show. 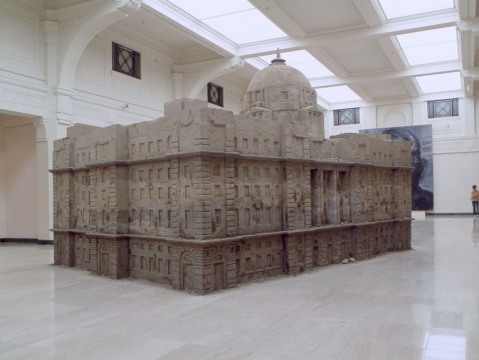 However, the version we’d become so accustomed to was much smaller and made of…sand. As we all rushed to have our photos taken in front of this particular building, fraught with memories of guiding Walker visitors through this esoteric, yet beautiful show, I was reminded of what an experience it is to be a tour guide. For many visitors to Shanghai, the building was just more more example of, admittedly beautiful, colonialist architecture. But after the experience of working with Huang’s art we had our own experience of the building, our own memories, our own understanding of what the building might represent. As Cotter wrote about Huang Yong Ping’s art in his review: It has a complicated sense of newness: you have never seen anything quite like this art before, yet it feels musty and archaic, as if excavated from tombs. And unlike his earlier work, it carries a dense, particular content of stories, myths, esoteric lore and political commentary.